Suzanne Martin is the current director and MD of Retro Computers Ltd and also mans the PR department. 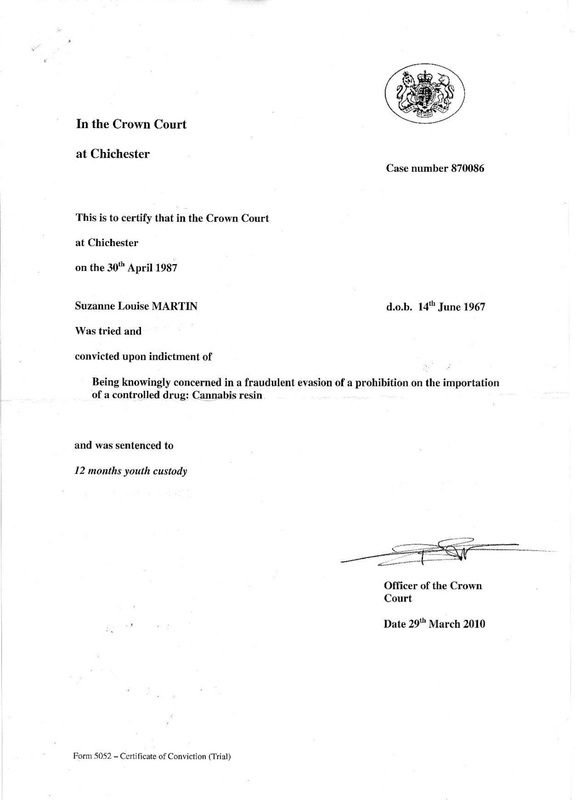 According to C. Rook's blog of 'interesting' people (where criminal conviction certificate 870086 for Suzanne Louise Martin has been posted), Suzanne Martin was born on the June 14th 1967 and was convicted on April 30th 1987 for "being knowingly concerned in a fraudulent evasion of a prohibition on the importation of a controlled drug: Cannabis resin". Suzanne Martin has not deemed it necessary to react to or deny the allegations on the C. Rook blog page. Monday 28th November 2016: "It’s safe. It was ringfenced from the beginning and anything you hear otherwise is completely untrue." Thursday 16th March 2017: While Martin denied to The Register that the £500,000 from backers had been spent on legal fees, she said that the money had instead been spent on "starting from scratch". Friday 10th March, 2017: "We have never refused to refund a backer." Tuesday 28th March, 2017: "We haven't refused - but this isn't the place to request a refund. If you have requested a refund through the legitimate channels we are working our way through those." Discussing when backers that have asked for a refund would get one (Tuesday 28th March, 2017): "We posted earlier today about several of our email accounts being spammed - We are working through them and estimate this will take up to 14 days. For those saying we should just delete those messages - that isn't an option." Monday 28th November, 2016: "We've opted to stop giving delivery dates until we are 110 per cent certain that we are going to meet them." @Indiegogo @paulandrewsuk I know this image looks like a bloke but it's NOT Paul Andrews! It's Suzanne Martin RCL CAMPAIGN OWNER! Contractor/RCL spokesman Lee Fogarty has claimed to have seen the devices in production back in April 2016, also saying "manufacturing is full steam ahead" on the World of Spectrum forums. On Saturday 8th April 2017 a backer talking to Suzanne said "I hope it goes into production" and Suzanne Martin replied "It will...."
Thursday 10th August, 2017: In an article in The Register, "The firm told El Reg a few months ago that it would go into production in July, something it now admits it has not done." Tuesday 15th August, 2017: "We posted a pic of the box a few weeks back - but we have actually decided to tweak the design since then. So I'll see what I can come up with." "True. It’s not something we do lightly. Much of what has been deleted is rude, multiple posts (sometimes over 100), attacks on other backers and offensive. Some of it comes from elements that are not only known to us, but to Indiegogo as trollers and spammers. We’ve worked closely with Indiegogo over what we should do and are only deleting posts that break their community guidelines, after confirming with Indiegogo that it was the right course of action." Friday 10th March 2017: "We aren't deleting any comments - but we are aware of a number of bugs." As an aside, Lee Fogarty said in a private message on Facebook on February 10th 2017 "They can't delete comments either because Andrews complained to indiegogo that his trolls were having comments deleted so they removed the ability for rcl to do it". On Thursday 31st August, 2017, 4 days worth of comments from Daniel Newby were deleted and Daniel's account disabled. "On Saturday we planned to post some images and footage of the Red, White and Blue units. Unfortunately, they were sent back to the depot by the courier company. They are back out for delivery this morning, and if they are successfully delivered we can collect them this evening, and we will be able to post some footage and or stills tomorrow." "We're really excited about this." "We will deliver. It will be brilliant." "In the meantime, don’t believe everything you read elsewhere on the internet." "This remains a labour of love for all involved and we are passionate about exceeding your expectations." "All our rights in this matter are reserved." "Moving forward we will not be updating on a Friday as a rule. RCL"
"That is not Retro Computers Address RCL"
"We have just up loaded some footage to edit.... this will take time." "Our Vega+ babies look great... but please give us a chance to give them the Hollywood treatment they deserve..."
"no that is a photoshopped blue line - well done for spotting it"
"Any infringement of this will be notified to the relevant authorities, Police and or enforcements agencies in the relevant jurisdiction." "You are in breach of community guidelines and please stop spamming the comments section"
"Deliberately sharing malicious, false and unsubstantiated content is not only a breach of community guidelines it may constitute a number of criminal offences. We again ask you to cease all contact with RCL personnel and to refrain from sharing what is clearly malicious material." "There will be a rabbit... we are still here. The rumours are just that....rumours"
"We apologise for the foul mouth rants from a small group of people"
"Yes please feel free to these are images from FB so Copyright Free"